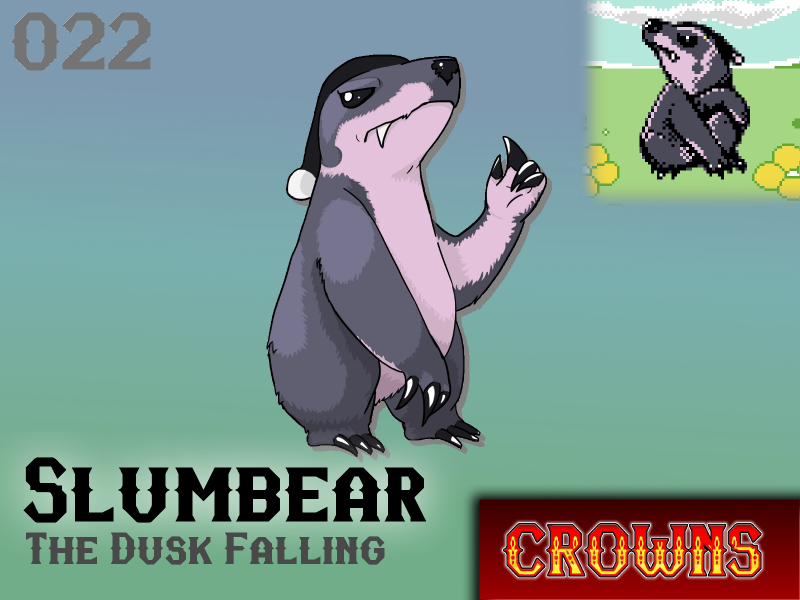 Slumbear reside in the tree-tops of dark, heavily wooded forests. This monster does not seek out battle, however they wait quietly when any man or beast treads on their territory or poses a threat. Like assassins they drop from their perch onto the unknowing prey beneath. During their fall they will make a single cut along the length of the victim's back with their sharpened claws. The wound is superficial, however, Slumbear's claws pulse with a toxin that quickly induces an endless slumber that cannot be woken from. Slumbear attacks primarily as a means of defense. They are traditionally herbivores - but they have been known to stray from this tradition in times of scarce food supply. Will Slumbear make your team?